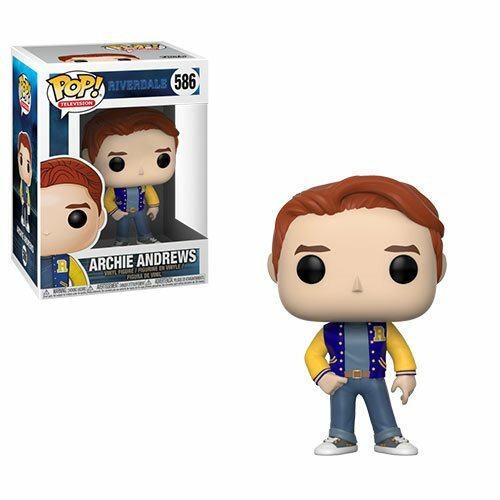 From the CW’s Riverdale comes a stylized vinyl figure of Archie! This Riverdale Archie Pop! Vinyl Figure #586 measures approximately 3 3/4-inches tall. Comes packaged in a window display box. Funko,Riverdale,Pop! Vinyl Figures,From the CW’s Riverdale comes a stylized vinyl figure of Archie! This Riverdale Archie Pop! Vinyl Figure #586 measures approximately 3 3/4-inches tall. Comes packaged in a window display box.